I like my Olympus 5050 digital camera to a certain extent, but it's not immune to being dropped from chest height when the lens is extended. Unfortunately, the only time I drop this camera is when the lens is extended (neck straps are for wusses). Both times I've dropped the thing, the lens barrel has popped out of place. Below I'll detail how I put the lens barrel back into the camera and got things working again. 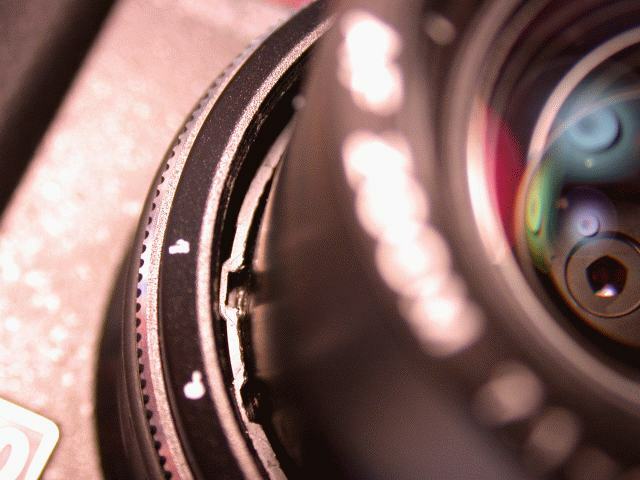 When you first pick up your busted camera, the lens will probably still be in the body. Cross your fingers and try shoving the lens back into place, but if this doesn't immediately work, you need to pull the lens apart. However, don't pull anything apart until you've got the camera over a table or towel or something to catch the tiny pieces that will fall out. Pry the lens barrel out of the camera, and collect the little metal nubs that fall out with it. 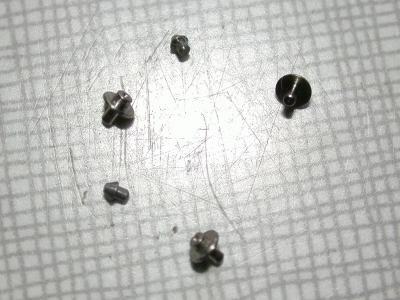 There are 6 of these total, but some will stay attached in the lens barrel you pulled off. Shake the camera body and try cycling the power off and on a few times until you get all of the loose pins out of the camera body. Also pull out the thin plastic trim ring from where it sits around the lens. With all your nubs collected and the lens barrel sitting ready, start remounting the nubs in the lens barrel. The conical nubs go in the forward hole (towards the glass)and the regular round nubs go in the rear hole of each pair. See the picture below. 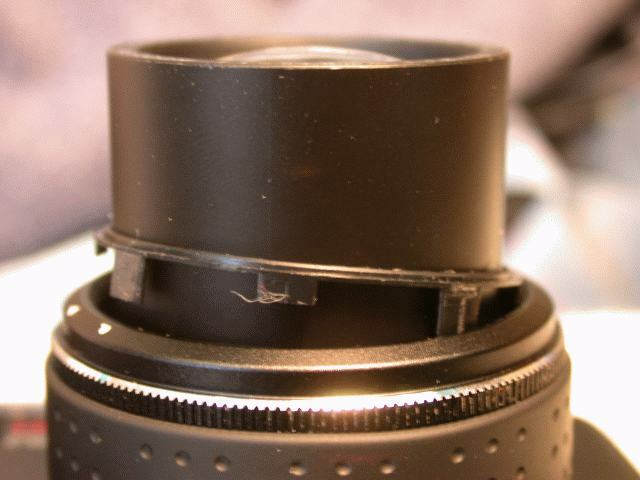 I used superglue (cyanoacrylate) to glue these nubs back into the plastic lens barrel. They will not withstand the reassembly process later if they aren't glued in, so you need to do this step. Don't allow glue to build up around the nubs either, as it will interfere with the nubs' function. This is not a job for JBWeld, only superglue. Once the nubs are remounted in the lens barrel, you're ready to put the camera back together. I think I kept the zoom all the way wide for this step, but I'm not sure it really matters. Set the camera with its back down on the table. If you stare into the camera body, you'll see 5 indentations around the edge of the area where the lens barrel should go. They are denoted by the arrows in the picture below. The slots in the body and the nubs on the lens barrel only fit together in one orientation, so you can't really mess that up. Slide the lens barrel down over the inner lens (notice the three nubs around the edge of the inner lens, these line up with three slots on the interior of the lens barrel). When you've got lens barrel nubs lined up over the 5 slots, it's time to get with the manhandling. The nubs need to be forced back into the tracks in which they ride inside the camera body, and it requires deforming the lens barrel enough to slip the nubs into place. I used one hand to push down on the lens barrel, and the other hand to use a thin flat blade screwdriver to tweak the lens barrel around the nubs and pull the plastic of the camera body out of the way. I started with the lower left pair of nubs and worked myway around from there. You don't have to shove the lens in very far at all, but it definitely requires quite a bit of force. 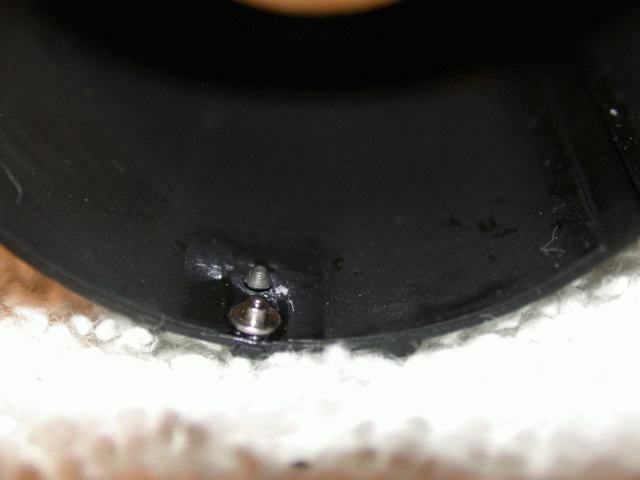 In the picture below you can see the nubs are back in their slots, just below the surface of the mounting ring. That's as far down as they need to go, so don't keep forcing things looking for some mythical seconds lot. At this point, with all the nubs in their slots, you should try cycling the zoom in and out and the camera on and off. The off-on cycle is the true test that things are working. If you succeeded, the camera lens will retract like normal. It might make a bit more noise or sound more "wobbly", but it should work. 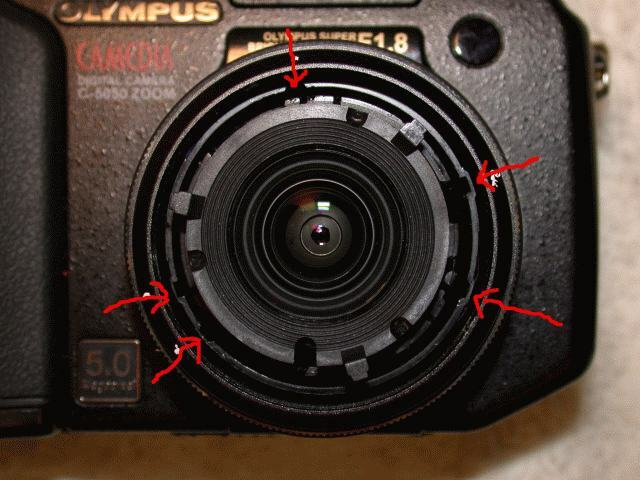 If any of the nubs popped out of their holes in the lens barrel during the reassembly, you'll hear them rattling around or grinding when the camera tries to retract the lens.If this is the case, you get to take apart the lens and try again. 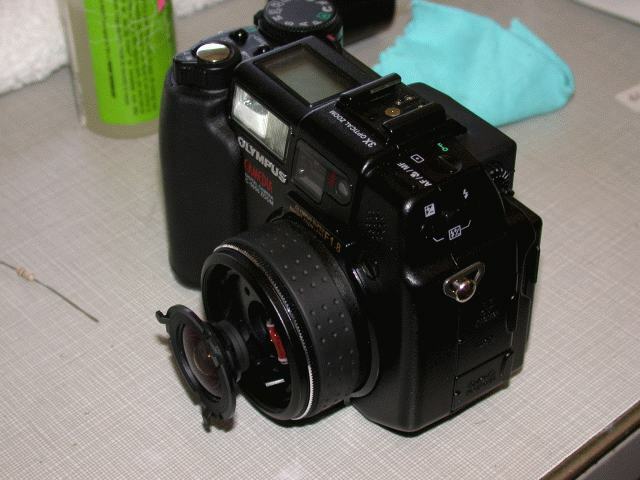 Once you're convinced that the lens is retracting properly, reinstall the little trim ring that you pulled out earlier. This should just slide down into place and sit in the slots in the body. I'm not sure what function it serves, and it could probably be left out, but it's up to you. 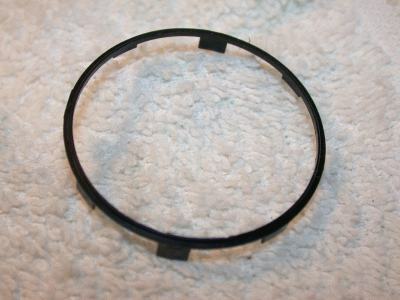 Just make sure you pull this ring out when you first try to disassemble the camera, as it makes reassembly impossible if the ring is still in the camera. Like I said, I've dropped this camera twice and knocked the lens out,but the camera still works great and takes perfect pictures. I'm sure you're worried that the focus will be knocked out of alignment or some such thing, but it hasn't happened to me yet. Good luck with yours.